We've previously mentioned that we have a series of World of Morden books in development. Next week, we'll be launching the crowdfunding campaign to help fund the additional artwork that they require. The initial goal will fund Frost and Fang, a book focusing on Steppengrad and Valkenholm. 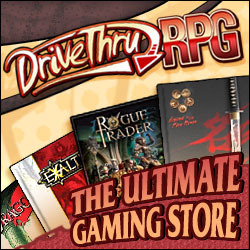 Notably, that book is already written, and backers will receive a draft of it as soon as they pledge. in a direction you had not prepared. Savage Lairs is here to help. a side quest or an unrelated adventure, but this is not necessary. hurriedly readjust your main focus. Worlds Core Rules for use. 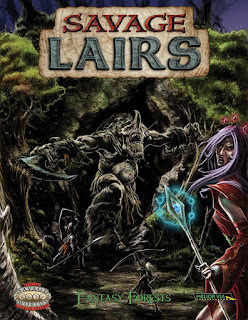 Savage Lairs Fantasy Forests is now available from DriveThruRPG for $10 in PDF.